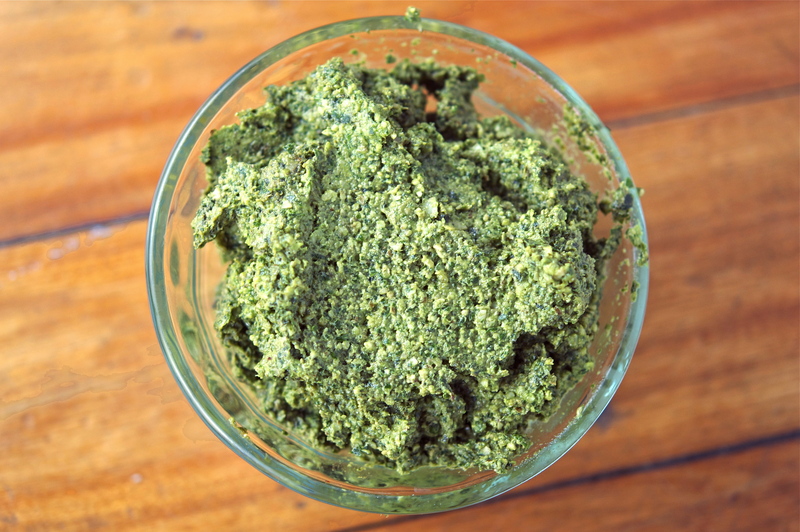 Place basil, walnuts, and Parmesan into the bowl of a food processor – pulse two or three times to chop the ingredients. Through the feed tube, slowly add the olive oil one tablespoon at a time while the machine is running. Add salt to taste – can be refrigerated for up to a week.